Do you have an annoying tree just sitting there that needs removed? 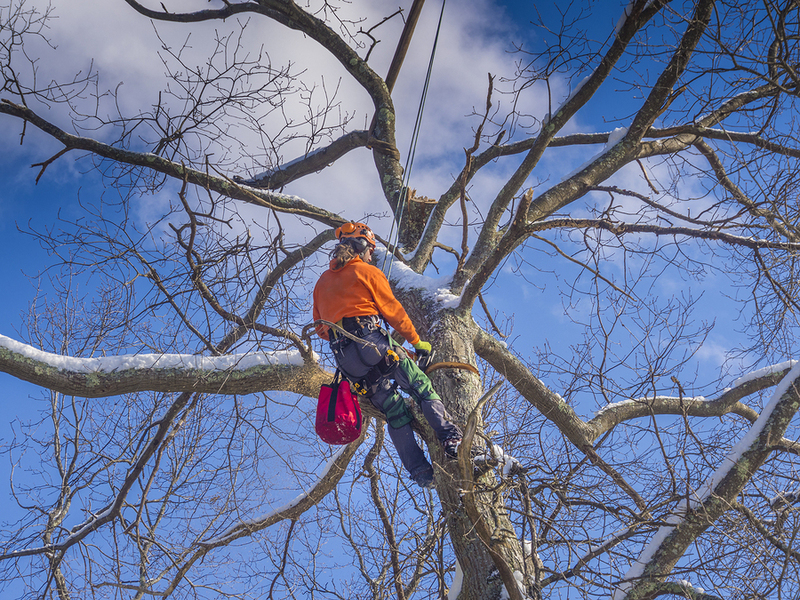 You are in luck because Elkhart Landscape has the experience and expertise it takes to get your trees removed safely. Our crew is certified in knowing how to remove trees as safe as possible and without causing extra damage. We understand that removing a tree from your yard or business is serious. We’ll make sure each step during the tree removal process is taken seriously. If you’re curious about your specific tree removal situation, please give Elkhart Landscape a call. If your yard has trees in it then you are probably looking for ways that you can care for those trees and keep them in great shape. You know that your trees need to be cared for if you would like to have a yard that looks nice and you need to find a good tree service if you are seeking the best care.Elkhart Landscape offers the kind of tree services that you are looking for and you can know that the service that is offered is going to be good for your whole yard. When you are seeking the right kind of tree service you will find that through Elkhart Landscape. You are looking to have trees removed from your yard but you need to find a company that will keep their tree removal cost down for you. You know that the company that you choose for your needs should be one that has tree service prices that are affordable. You are looking for good care but you don't want to spend a time of money on that care.Elkhart Landscape offers the help that you need for your tree removal needs and will provide you with the kind of tree service cost that works with your budget. You will find the affordable care that you need in this company. You are looking for a company that has the tree service equipment that is needed to bring about good care in your yard. You need to know that your trees will be properly cared for, and in order to be properly cared for they need help from someone who has all of the necessary tools and equipment. You are looking for someone who has the supplies that are needed to get the job done right for you.Elkhart Landscape possesses the tree service equipment that is needed for the job that is in front of you. You will get the kind of assistance that you need through this company. You are looking for someone who knows how to deal with the trees that are a part of your yard. You are looking for someone who will get your trees into great shape for you. You need to know that your yard will stay in good shape because you have professional help with the trees that are a part of it. When you are looking for quality care from a company that knows how to help you out you will find that in Elkhart Landscape. This company offers all of the care that you are looking for in a way that is experienced and that will be good for your yard. When you are looking for a company that is going to keep your yard beautiful and that will help you provide that space with the best care you will find that Elkhart Landscape offers all of the help that you need and the kind of care that will be good for your yard.